A lot of people go to Eastwood to experience what this lifestyle destination continues to offer. 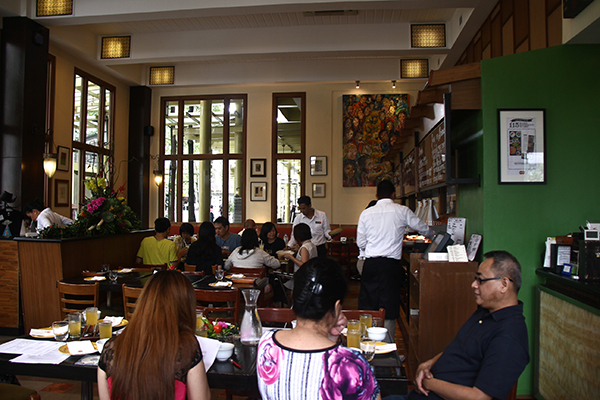 And among its shops, cafes and restaurants, there is one that really stands out for the new experience it brings to this vibrant and thriving part of the city. 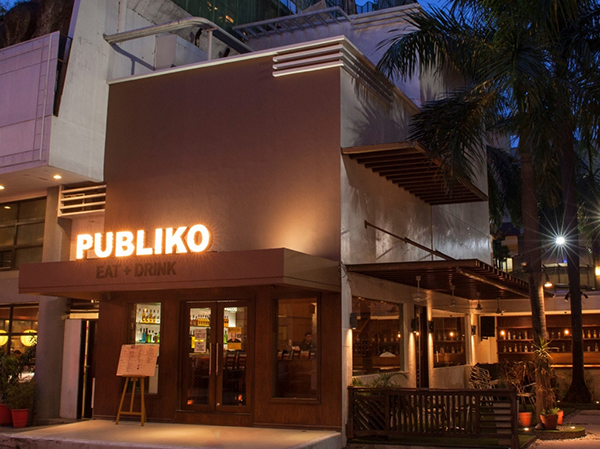 PUBliko Eat + Drink, the first and only gastro pub in Eastwood City, has become the new talk of the town for its great food, drinks and ambience. 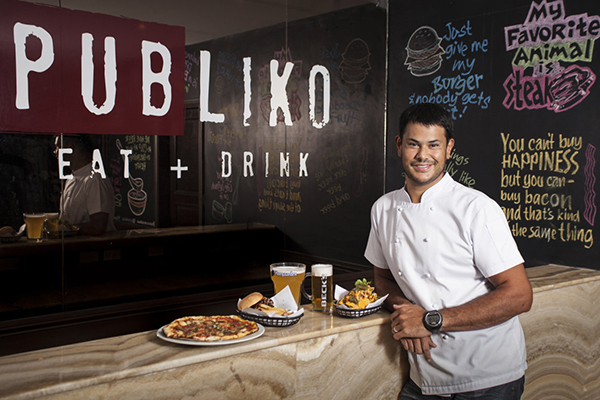 This new and very much talked – about dining destination boasts an extensive selection of American style comfort food created by none other than celebrity chef Carlo Miguel. 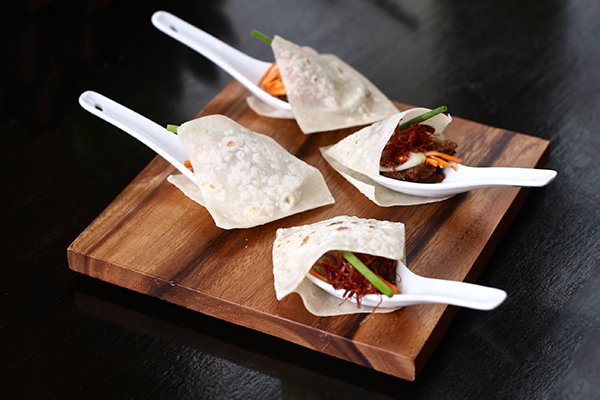 Last Saturday, Sentro 1771 invited foodies and bloggers to try our their signature dishes and most especially the latest menu by Chef Vicky Pacheco. I’m very fortunate and thankful to be one of those bloggers to be the first to experience their new menu. Actually, It’s my first time here so imagine the excitement when I got an invitation. 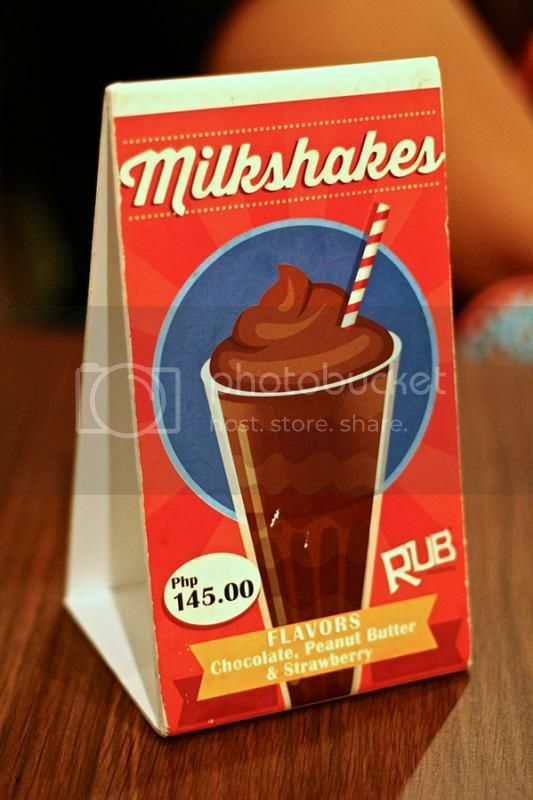 We always pass by the restaurant but never had the chance to try this with the fambam. 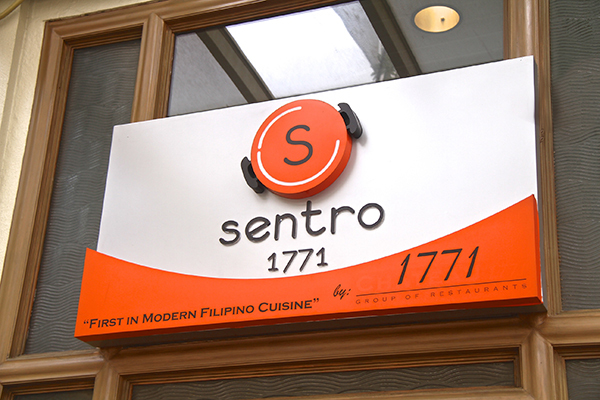 In 2002, Sentro 1771 exploded on the local culinary scene with its original Modern Filipino cuisine. 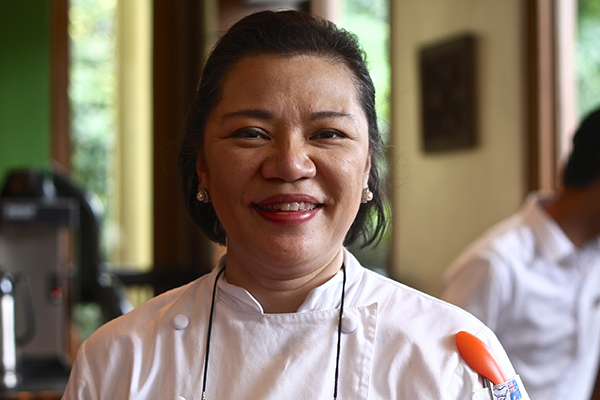 Executive Chef Vicky Pacheco brought Filipino cuisine to the next level by presenting local dishes in a chic and elegant setting, combining Swiss and French techniques with familiar Filipino flavors. We waited for the other foodies and bloggers to arrive so I took some photos of the interiors. It’s very home-y and cozy! 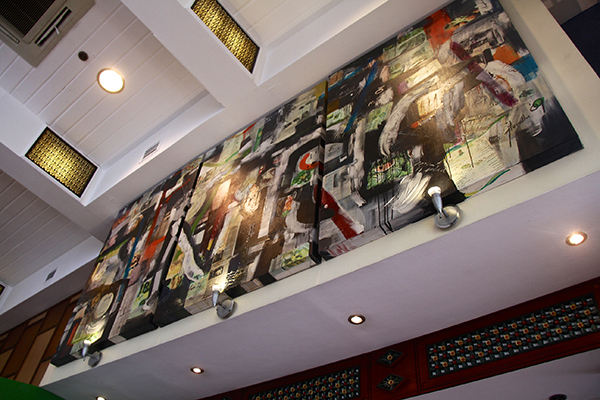 As an artist, I really appreciate big artworks like these in restaurants or any establishments! Look at this painting, isn’t it beautiful? The centerpiece is also beautiful! I think these are real produce and flowers. 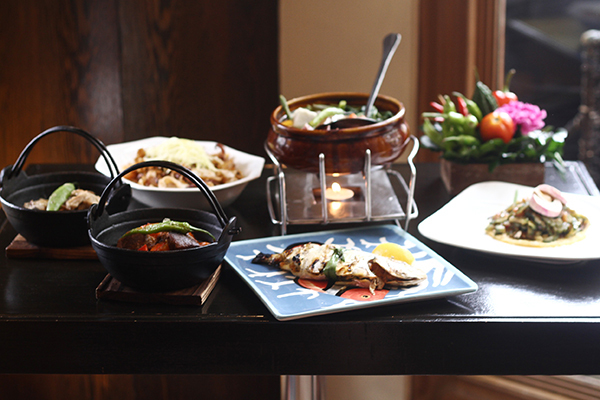 The extensive menu includes compelling choices from its Pica Pica, Spring Rolls, Inihaw and Iba’t Ibang Adobo. This goes to show how Chef Vicky keeps the customers’ best interests at heart. The first ones to arrive is the pica-picas. 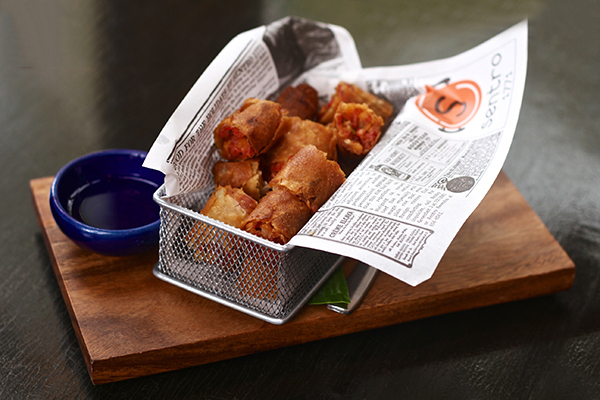 Macau Chorizo and Cheese Tidbits (240php) is mini spring rolls filled with Macau chorizo, shallots and keso de bola. One of my favorites among the bunch! The combination of the ingredients is just perfect! B2B Sticks (150php) is 4 pcs. 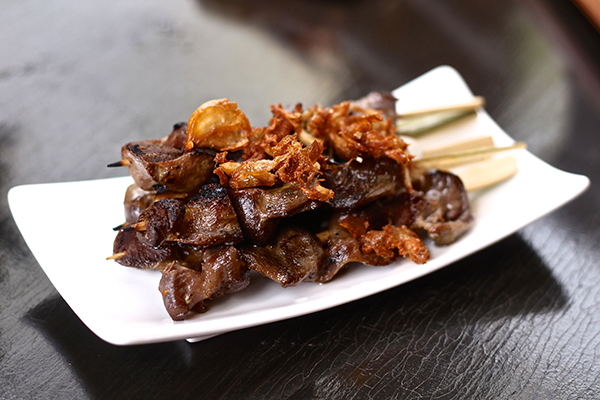 of skewered and grilled organic chicken gizzards cooked adobo-style. This was first time eating chicken gizzards and it was awesome! I never knew that I would like it until I tasted this! This is a very flavorful dish! It may be hard to believe that these are shredded duck ’cause it looks like corned beef. 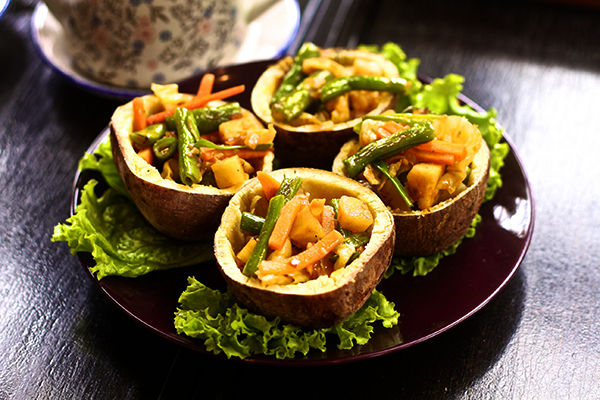 Camote Cups (240php) – Carved sweet potato filled with stir-fried cabbage, Baguio beans and carrots. Who knew that this combination would go so well? I enjoyed every bite of this dish! 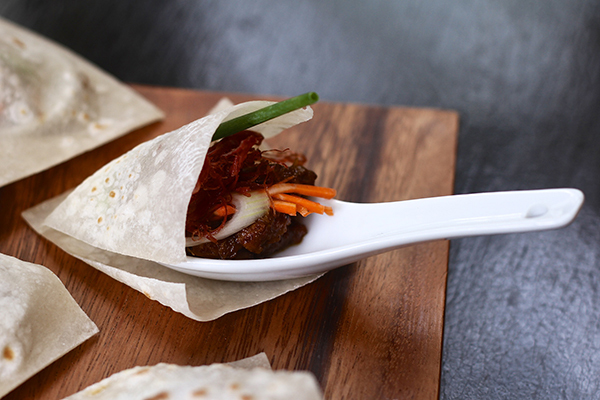 The stir-fried vegetables really complimented the sweet potato cups! When the main dishes were served, I got excited! 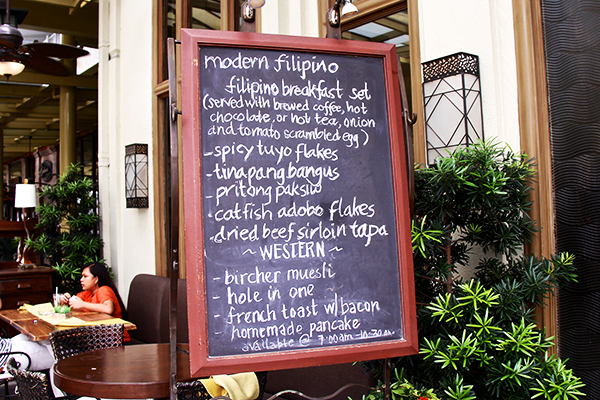 I’ve been dying to try the Sinigang na Corned Beef ever since I read through the menu. 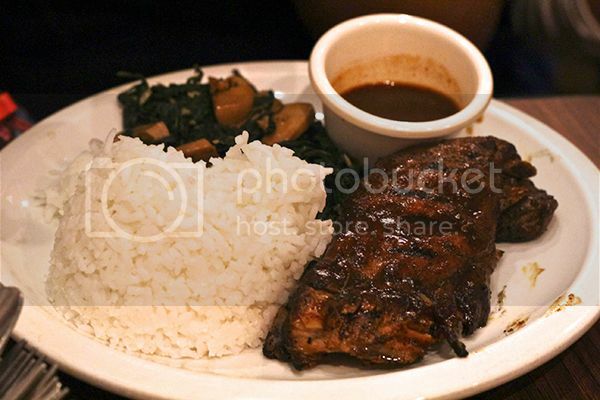 Sentro 1771 is well-knowed because of this dish! 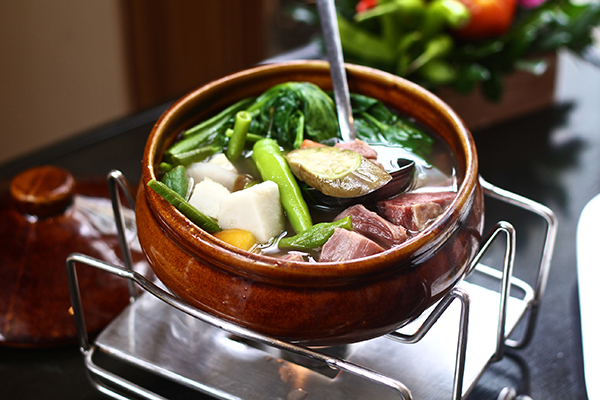 Sinigang na Corned Beef (595php) – Corned beef short plate and boneless beef shanks in tamarind broth with native vegetables. When I took a bite, it really made my day! It is sooooo HEAVENLY! The beef just melts in your mouth! You should DEFINITELY try this when you visit the restaurant! You’ll regret it if you don’t! 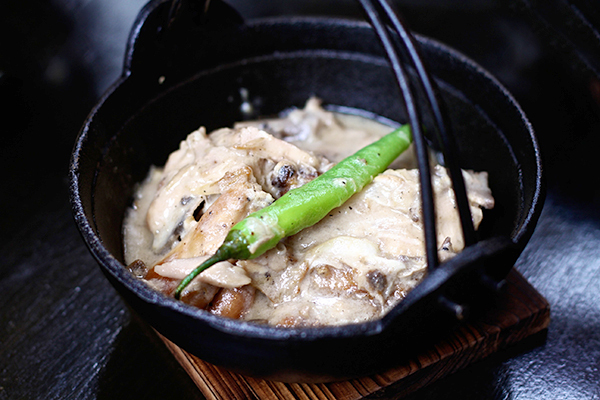 Chicken Adobo sa Gata (250php) – Still retains the vinegar-garlic-peppercorn balance but thickened with coconut milk. This is a very classic dish! It was cooked to perfection! 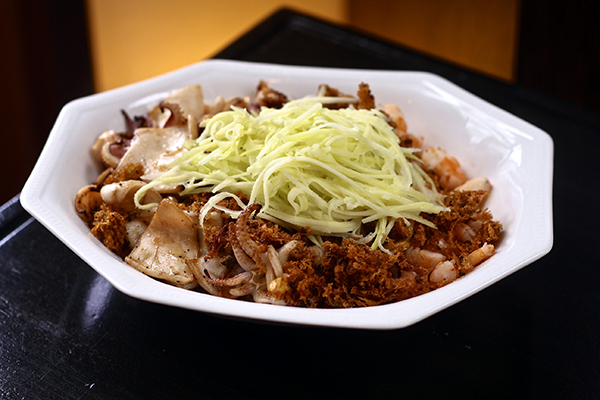 Seafood Bagoong Rice (530php) – Topped with grilled squid, garlic shrimps and hito flakes. I’ve eaten a lot of seafood/bagoong rice from different establishments before but Sentro 1771’s version is by far the best. To be honest, it was my first time to eat Ampalaya because I never really liked the bitterness of it. What I like about their version is that the salted egg and egg crepe made the dish balanced. Yes, it still somewhat bitter but the saltiness of the eggs made up for it. 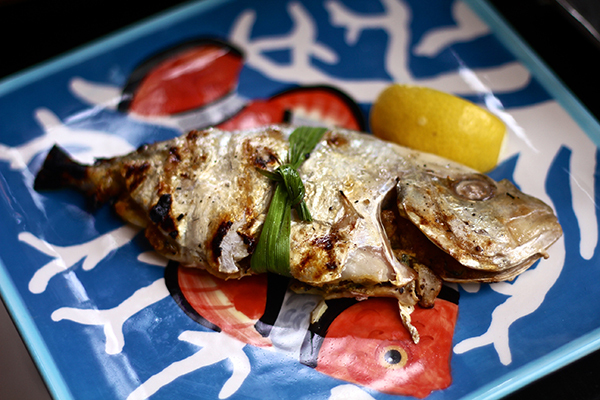 Fish of the Day Pandan (220php per 100g) – Whole fish stuffed with sauteed onions, tomatoes, miso and malunggay, tied with pandan. It looks like an ordinary dish but boy~ The fish is packed with flavor! This is perfect with a bottle of beer! 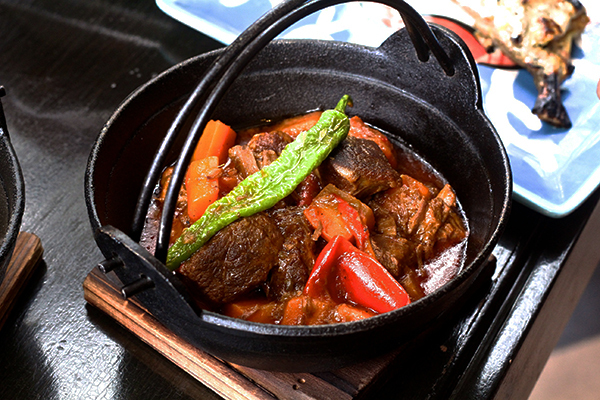 Lamb Caldereta (480php) – Boneless lamb shoulder stewed with carrots, bell peppers, tomato sauce, and spices. Can be mild or spicy. Last but not the least for the Main dishes, LAMB CALDERETA! It a no-brainer for me that this dish is also one my favorites. 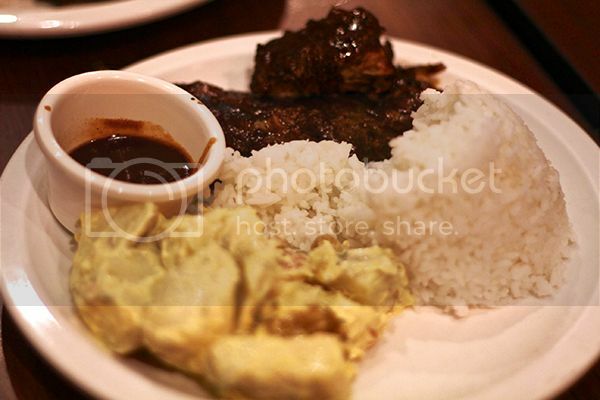 The perfect spicy sauce + the lamb is tender = Happy tummy! Now to my favorite part! After a few minutes of chatting with my fellow bloggers, they served the desserts! 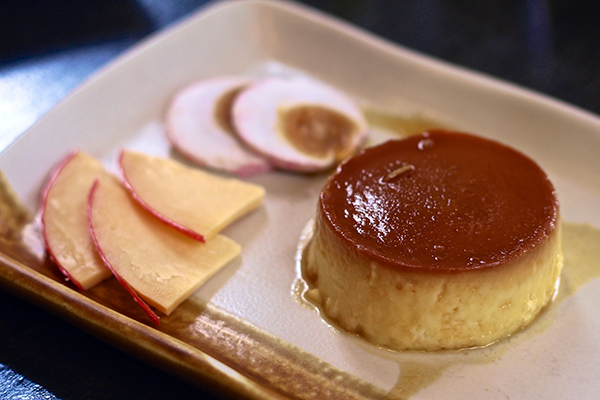 Keso Flan (220php) – A baked but light, no crust cheesecake served with queso de bola and red egg. Yes, tt looks like Leche Flan but when you cut through the flan it isn’t flan at all! It’s Cheesecake! We’re really surprised with this dessert! It’s very unique, ‘no? 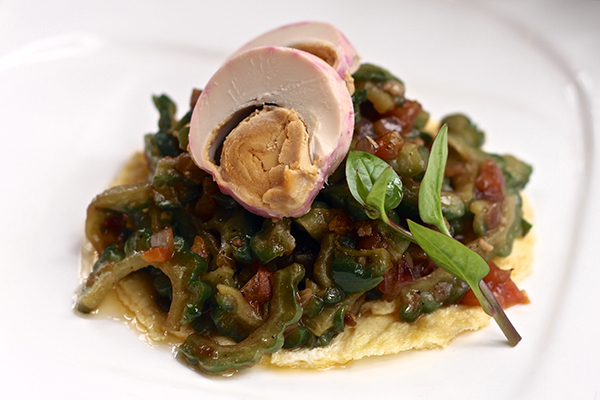 To experience is to the maximum level, you should eat the flan together with a piece of Queso de Bole and the red egg! It really envelops your mouth! 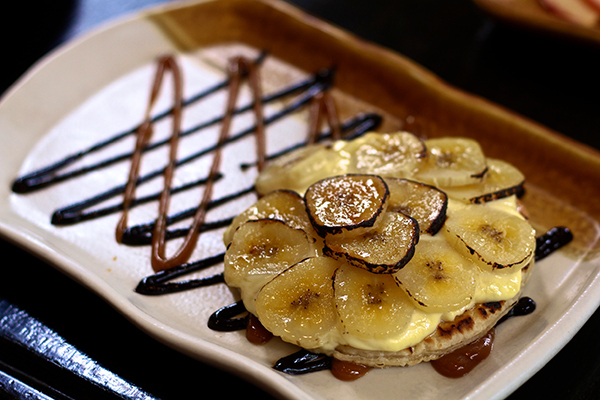 Banana Tart (150php) – Puff pastry with a light custard topped with caramelized saba banana slices. I’m a sucker for tarts! The combination of caramelized saba, custard, chocolate & caramel drizzle and the crispy tart is just PERFECT! I would definitely buy this again on my next visit! 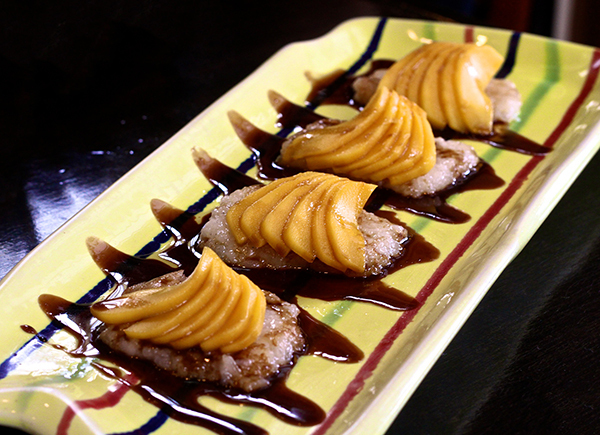 Fried Suman & Mangoes (180php) – Rolled out suman fried to a light crisp & topped with ripe mangoes and served with sweet coco jam. I love how the suman is soft on top but somewhat crunchy at the bottom! Add some slices of mangoes and coco jam then walah~ A perfect filipino dessert! After our feast, Executive Chef Vicky Rose Pacheco checked up on us and asked if we loved the food. It’s a YES! 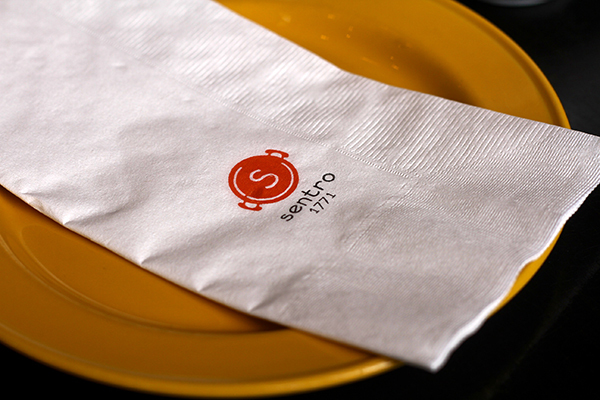 I loved all of Sentro 1771 new dishes! Kudos Chef! 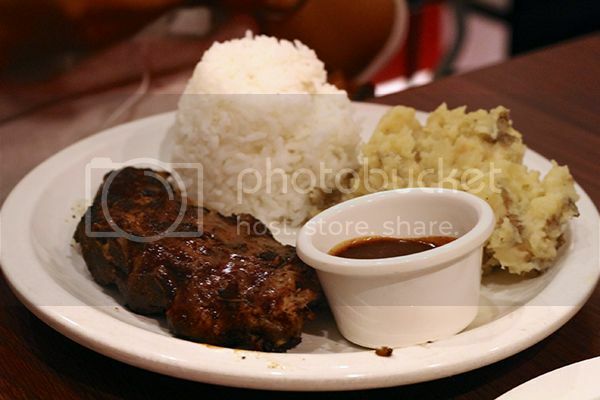 I would definitely come back to this restaurant whenever we go to BGC or even in Makati! 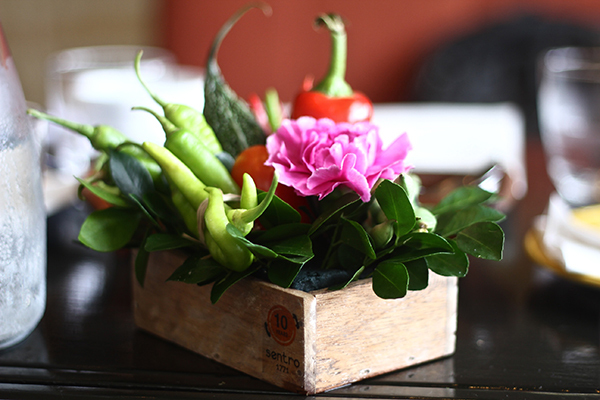 Rediscover a Filipino First — first in Modern Filipino cuisine, and first in delivering the dining experience our guests deserve. A sure hit with family, friends, balikbayans and expats, Sentro 1771’s combination of classic and creative riffs will surely outshine any old favorite. Overally, I really recommend that your try Sentro 1771! It’s comfort food at its finest! Thank you Sentro 1771, Cha Sy and Vanna Santiago for the invitation! 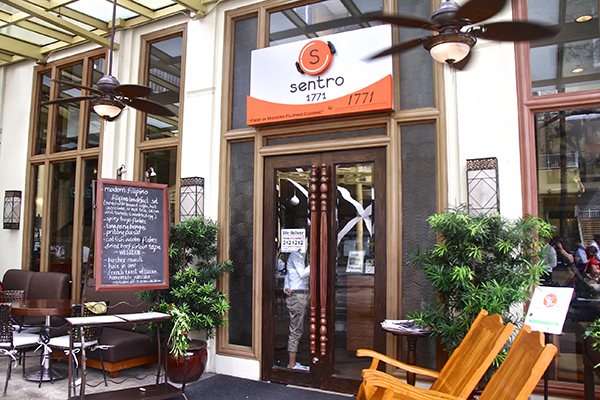 Sentro 1771 in Greenbelt 3 is open from 11:00am to 11:00pm (Monday to Sunday) while Serendra is open from 7:00am to 10:00 pm (Sunday to Thursday) / 7:00am to 11:00pm (Friday to Saturday). 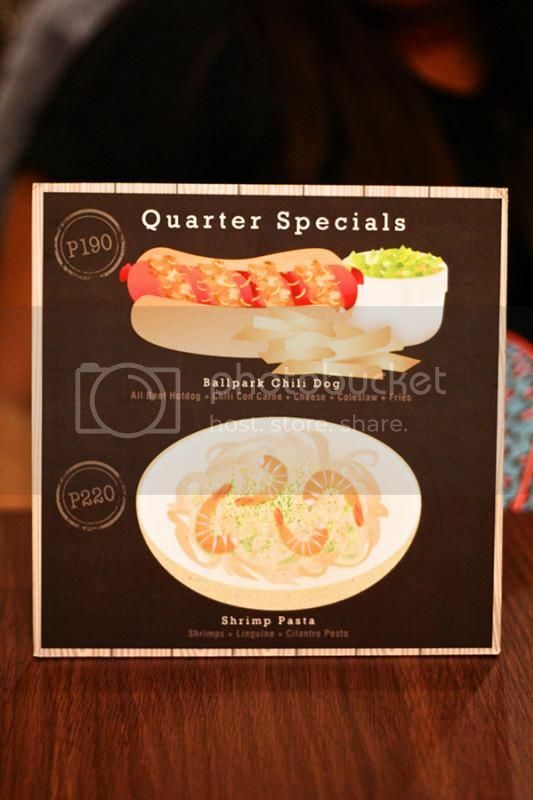 For inquiries and reservations, call Sentro Greenbelt 3 (02) 757 3941 or Sentro Serendra (02) 856 0581. Visit the website www.1771group.com or follow Sentro 1771 on Facebook and Twitter. 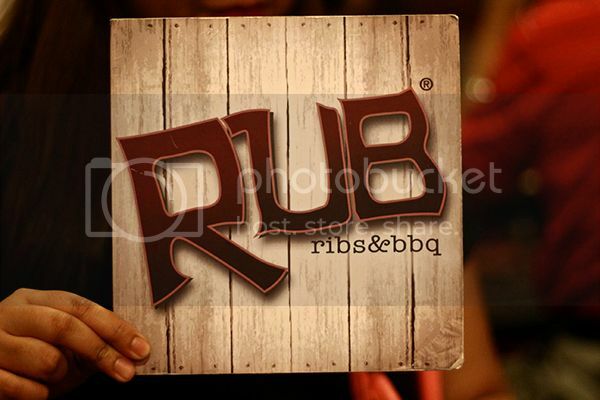 A few weeks ago, my friend told us about their experience on this restaurant called Rub Ribs & BBQ (Tomas Morato). She told us that the food is super yummy! Since we’re around the area (and biglaan din), we decided to try it for ourselves. Good thing though because when we got there the rain stopped, it was raining cats and dogs en route to Rub. Talk about good luck! Since the place was small, we literally waited for 30 minutes for our table. The wait is worth it you guys! 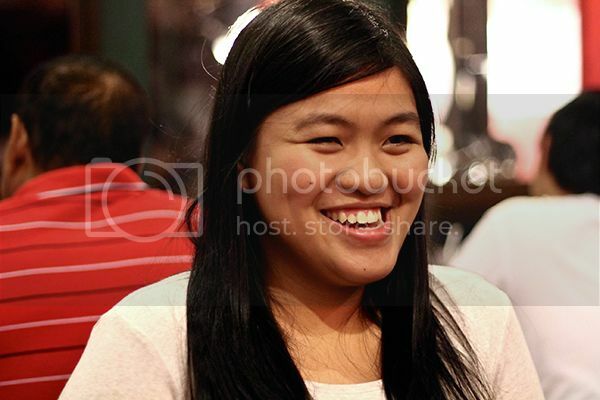 Look how happy Isha is when we got to our table. 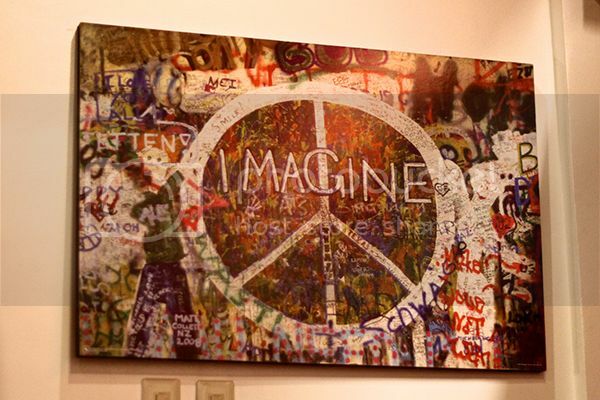 I love how the place is decorated with awesome paintings and photos. It takes my mind off hunger. Haha! I hope they expand the place soon. It really bugs me when the chairs collide. So, you can’t just go out that easy without having to hit somebody when they’re eating. You could view the full menu here. 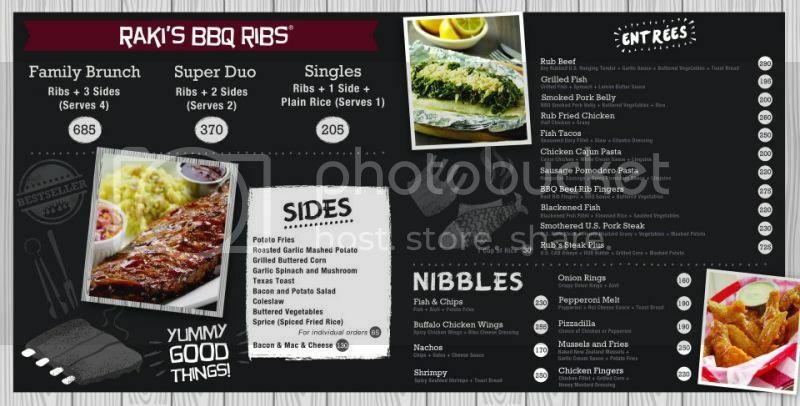 I wanted to try everything on the menu but we decided to get their classic BBQ Ribs. Will probably try other dishes next time. This one is the Roasted Garlic Mashed Potatoes which was awesome! 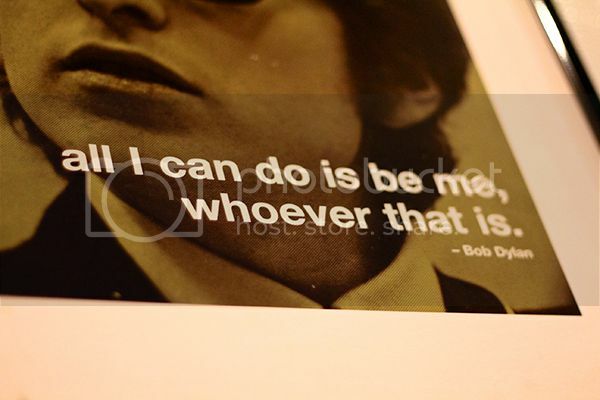 And this one’s mine. Bacon Potato Salad. I didn’t see Bacon bits at all but nevertheless it was awesomesauce too! To sum it up, our experience is 8/10. The food and ambiance is great! If only the queue is fast, the servers were attentive, and the place is big, I’d give them a 10. But hey, I’d definitely go back for their ribs (and other entrees).